It is possible to live in a spotless home, some people do; however, people live in a home that isn’t spotless and that is OK. You have to get the right balance for you and your family. Having a clean and lived in home is different in my opinion from a spotless home. I have had very high standards for my home in the past and even if someone helped, often it was not to what I considered clean. I have lowered these standards and allow other people to help because I realized that I couldn’t work a full-time job, even from home, and keep a spotless home. The more I think about having a spotless home the more I realize that this is a dream and not a possibility. Yet, I do know people who manage it. You have to find that balance, where you feel your home is clean enough. I know that in the past I have gone to extremes in the desire for a clean home, I didn’t work outside the home and I was able to have a very strict cleaning schedule. Looking back now I really wonder how I managed it! I know that there just aren’t enough hours in the day to manage a spotless home and to work full-time, so I have adjusted the cleaning; I am not as picky or as obsessed as I was about cleaning! Cleaning every single day, I still do this, however, I don’t spend 3 or 4 hours a day cleaning. I vacuumed the whole house twice a day, every day. If we had floors that needed washing, I would do these on my hands and knees with a floor scrubbing-brush and an old towel to dry the floor as I went. Bathrooms and toilets, the whole rooms cleaned on a daily basis. The kitchen cleaned daily too, not just the work surfaces, the insides of the cupboards too. Windows cleaned weekly, inside and out. Walls washed weekly, it is amazing how dirty they can get with young children and pets! Toys were also cleaned regularly. My cleaning schedule was manic, yet I was afraid that someone would think my home wasn’t clean! It was hard work, I kept this up with a part-time job, one hour per day when the children were older. But it wasn’t something that I could continue with when I started working full-time. I think that you have to find that balance, where you are happy with how your house looks and the amount of time that you have to clean. You have to know what needs doing. 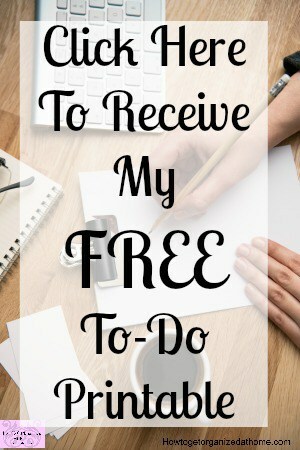 How can you know what you need to clean unless you have a list of tasks to do? Otherwise, you can walk around and not really achieve anything because you don’t have a plan. Some people want to clean more often than others and that is fine too, it is finding the right balance for you and your family. You might like to clean every day, or you might choose the once a week approach. There is no right or wrong answer here, it is finding what works for you and coming up with a plan of action. Without knowing what needs doing you won’t know if you’re finished! You can create an elaborate list with tasks broken down and spread out over a period of time or you can just write your cleaning list on a scrappy piece of paper, as long as you know what to clean it will help in the process of knowing what you need to do and when you have finished. Are There Benefits Of A Spotless Home? I always thought the benefits of having a clean home was showing my family I cared. When it was spotless, I think maybe I pushed it too far. It became a constant worry for me, who was making a mess? Who wasn’t tidying up after themselves and when they did it wouldn’t be right. I made it more difficult for other members to help, they didn’t know what or how to do the cleaning, well not to my standard and so they started to rebel and I was left to do it all! Therefore, whilst my home was clean I was left to do all the work because I had pushed away any help. Make sure you have your priorities straight, know what you want from your home and the standards that you are comfortable to live in. How much you clean is depending on a number of factors, including the time you have available. Decide what’s enough, and what you are looking for in a clean home. For me, the most important advice is to get help if there are others living with you. They all contribute to making the dirt in the home, in reality, all should help with the cleaning too. Therefore, if you are looking for a spotless home, make sure this is what you are really looking for. Don’t take on the work of other’s, teaching your children to clean is a skill they will need as adults. Remember, your clean might not have the same meaning to others, try teaching and explaining what you are looking for, can help too! What are your best tips for having a spotless home? Looking for more articles on this topic? Head over to the landing page where you will find links to other articles on cleaning. I wrote another article I think you will enjoy! 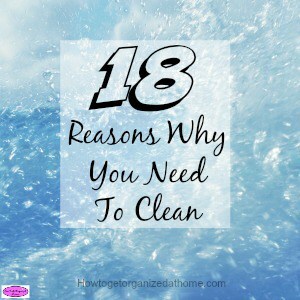 18 Reasons Why You Need To Clean.